Welcome to the Mineshaft Store! Come on in and take a look around! 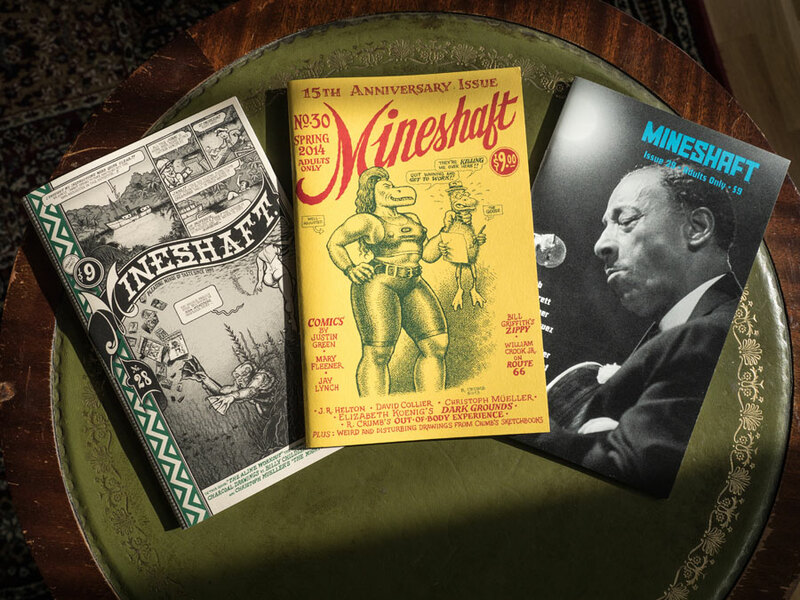 We've made buying individual Mineshaft back issues and "MINESHAFT SETS" and "MINESHAFT Signed Postcard SETS" as well as Subscribing to Mineshaft easier than ever with our shopping cart. For postage prices and to pay by check or money order press here. The magazine is digest sized, 8 1/2 inches x 5 1/2 inches. All copies are printed in the U.S.A. on off-set press. The issues are first and only printings. 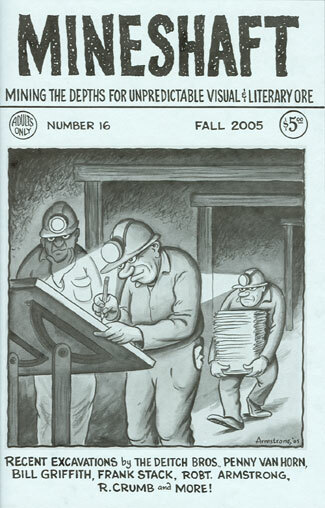 All copies are uncirculated, carefully stored, and in beautiful condition from the Mineshaft Archive. The print run is very low and our supply of many of the back issues is running out. Many of our back issues are very rare and will be SOLD OUT soon!! Don't wait until it's too late! 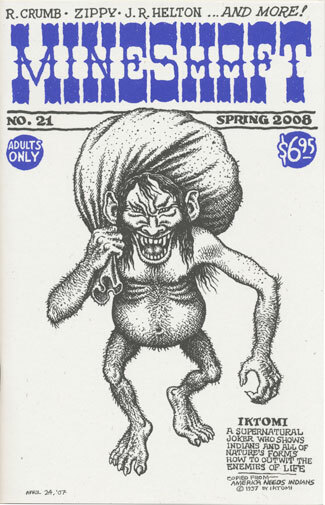 To order back issues you can pay by PayPal or credit card here at the Mineshaft Store. In the U.S.A. postage is $3.50 for orders up to $94. For orders of $95 and above, postage in the U.S.A. is $7. Postage is included in all Subscription and International Set prices. We take great care in packaging the magazine. Email Everett Rand with any questions at erandmineshaft@gmail.com. Subscriptions and back issue orders are greatly appreciated! THE MINESHAFT READER is still available... ORDER TODAY!!! MINESHAFT #37 is Coming this Spring, 2019!!! Mineshaft #37: is coming SOON... in April, 2019! 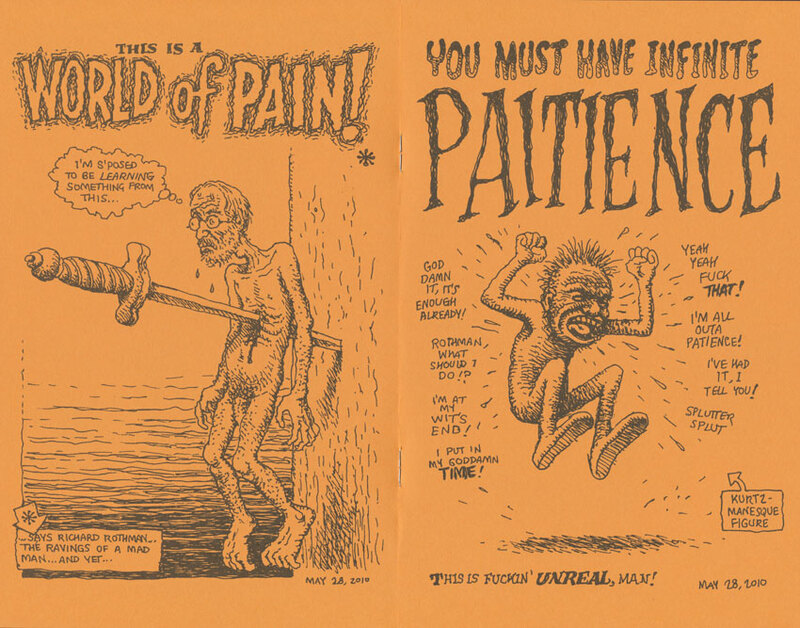 Beautiful Cover art by Drew Friedman & Back Cover by R. Crumb! PLUS Billy Childish, Mary Fleener, Bill Griffith, Art Spiegelman, Christoph Mueller, David Collier, Noah Van Sciver, Nicolas C. Grey, Max Clotfelter, Robert Armstrong, Peter Poplaski, and MORE!!! First printing. 52 pages. 1,300 copies printed in April, 2019. 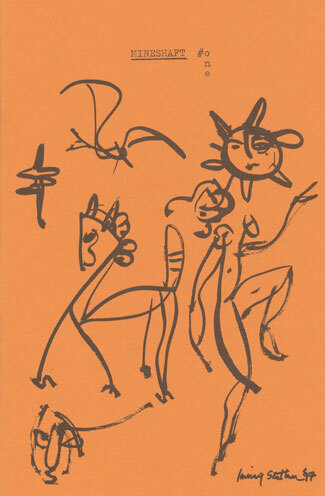 Cover printed on French Paper Company "Construction White" Cover paper. ($9.00) Coming Soon! 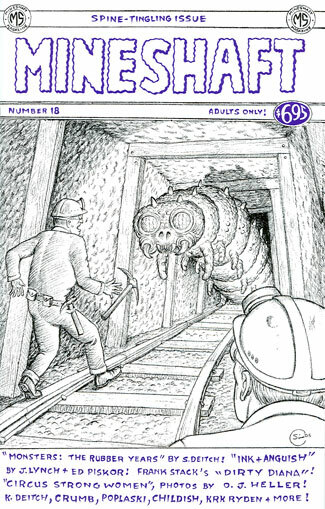 DREW FRIEDMAN'S Blog: "Mineshaft #37 Cover"! 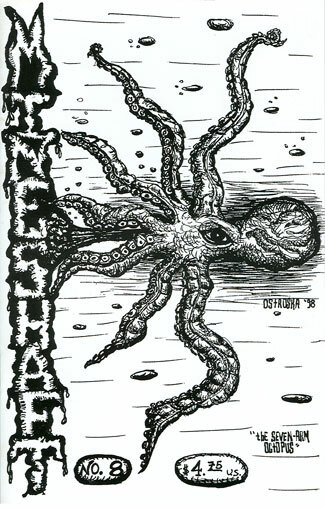 Four Color APOCALYPSE "Weekly Reading Round-Up Old World 'Zines"... reviews Mineshaft #36! 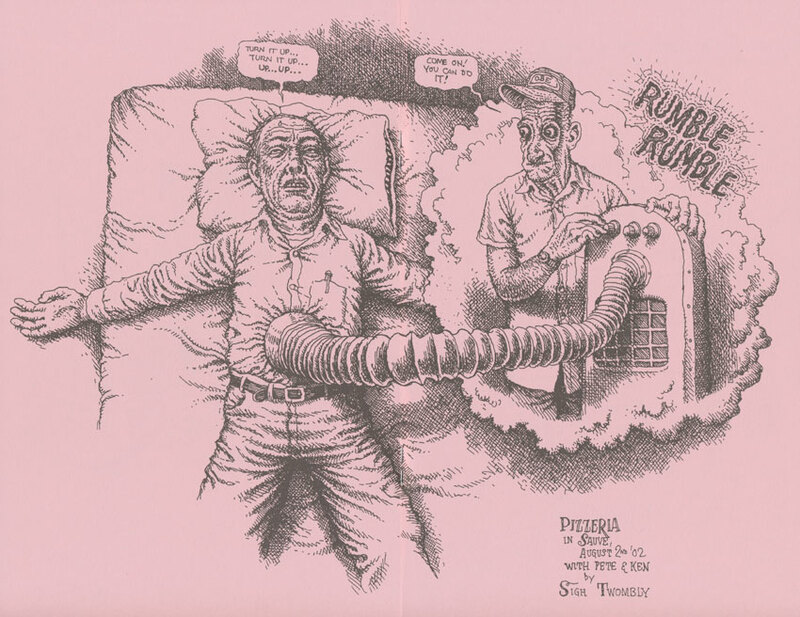 Tom Spurgeon, The Comics Reporter "Off the beaten Path: Mineshaft #34"
BRAIN: "Une apres-midi avec Robert Crumb"
John Porcellino reviews Mineshaft #32 at "Spit and a Half"! 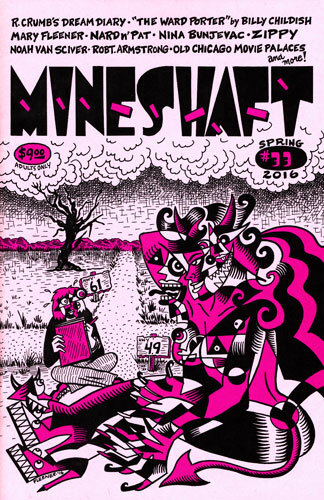 Mineshaft #31 is a "Staff Pick May 2015" at Last Gasp in San Francisco! 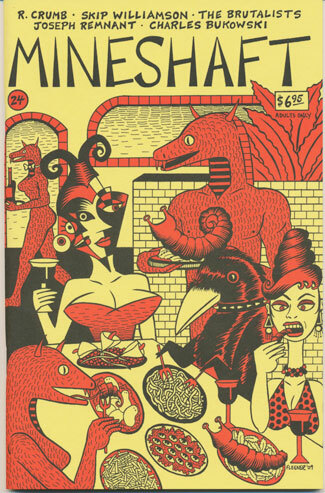 John Porcellino and Spit and a Half review Mineshaft #31! Mineshaft #30: We have a few "very good reading copies" available (with possible various scuffs, possibly a ding, or a flaw or two on the cover but with interior pages in very nice condition)... Sold out! 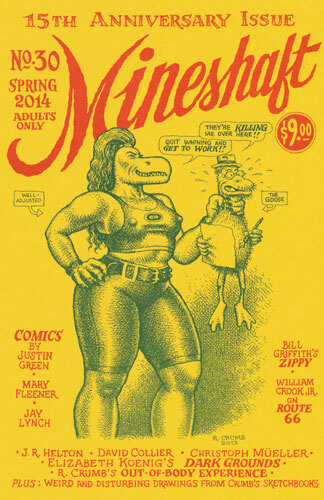 Tom Spurgeon, The Comics Reporter "50 Comics Positives For 2014: Mineshaft Hits 15 With 30th Issue"
Rob Clough reviews Mineshaft #30 for "High-Low"! 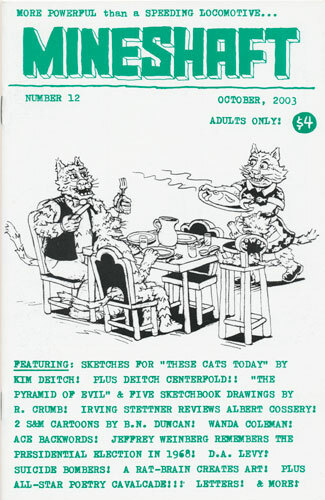 Almost Normal Comics reviews Mineshaft #30! Photo of Mineshaft #28, #29, and #30! "Another Vein Extracted: Mineshaft #29" Rob Clough reviews Mineshaft #29 for his comics column "High-Low"
"On Exhibit: Mineshaft #28" Rob Clough reviews Mineshaft #28 for his comics column "High-Low"
Special R. Crumb "Poptone Orange Fizz" centerfold in Mineshaft #27! Mineshaft #27: We have one "good reading copy" available (with possible various flaws but overall in nice condition)... Sold Out! 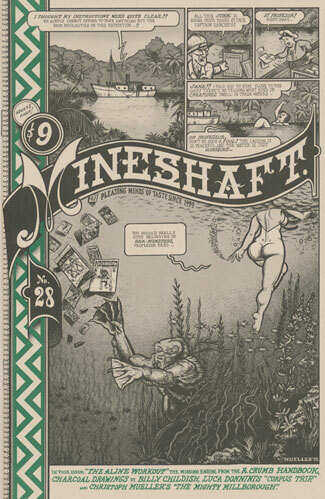 Andrei Codrescu reviews Mineshaft #27 in The Exquisite Corpse! 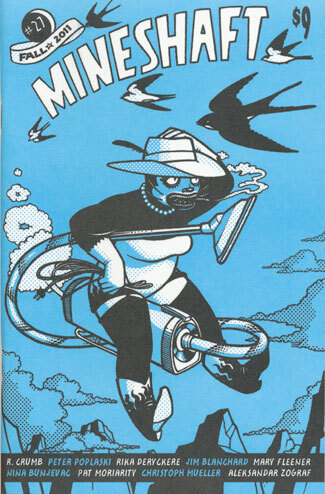 Special Williman Crook Jr. "Pop-Tone Spearmint Green" centerfold in Mineshaft #26! 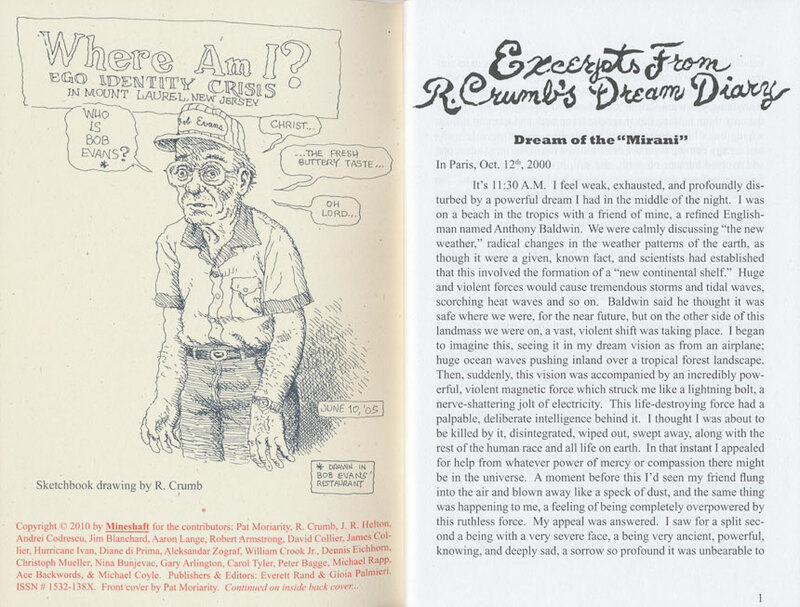 Excerpt from R. Crumb's "Dream Diary" & inside front cover from Mineshaft #26! Mineshaft #26: We have one "good reading copy" available (with possible various flaws but in overall very nice condition)... Sold Out! 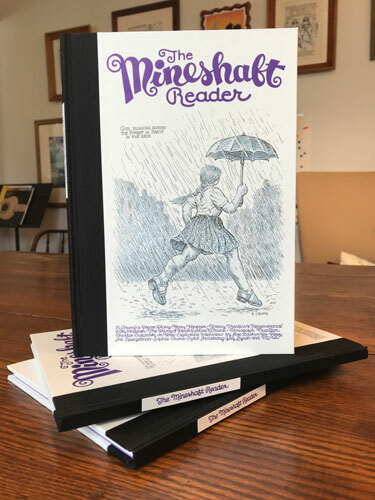 Mineshaft #24: We have one "very good reading copy" available (with possible various scuffs, a ding, or a flaw or two, but in nice condition)... Sold out! 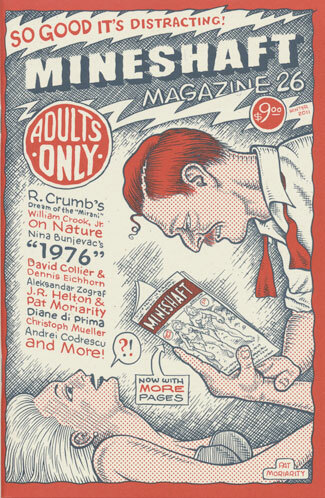 Special R. Crumb "Poptone Bubblegum" centerfold in Mineshaft #23! 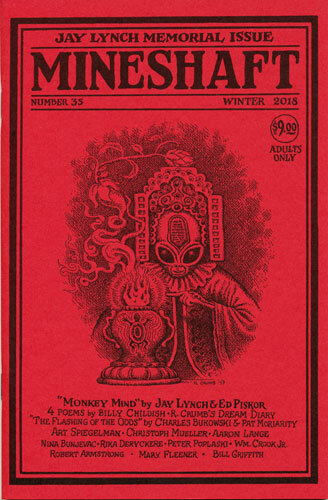 Mineshaft #23: 7 copies signed, dated, and numbered with gold metallic ink on the front cover (in 2015) by Cover artist Jay Lynch!!! Sold out! Mineshaft #23: We have one "good reading copy" (with the cover banged up a bit with possible bends, scuffs, or dings... but with interior pages in good condition)... Sold Out! Excerpt from "Muscle Beach Beauties" photos by O.J. Heller in Mineshaft #22! Mineshaft #22: We have one "good reading copy" available (with possible various scuffs, a ding, or a flaw or two on the cover)... Sold Out! 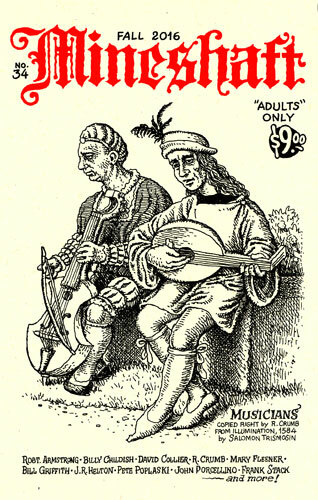 "The Pleasures of Obsession: Mineshaft #22" Rob Clough reviews Mineshaft #22 for his comics column "High-Low"
Photo of Mineshaft #21 front cover by R. Crumb and back cover by Christoph Mueller! 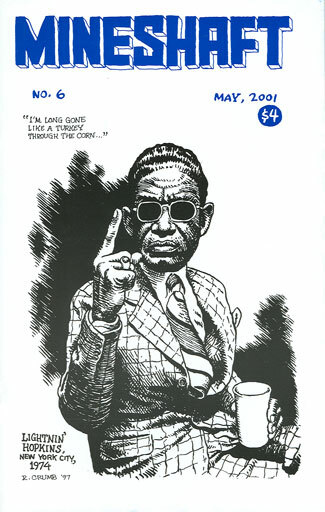 Special R. Crumb "Butcher Extra Blue" centerfold in Mineshaft #20! 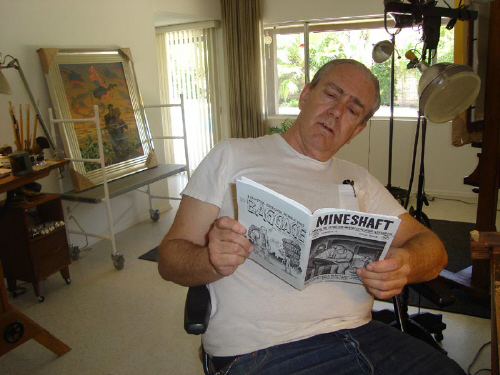 Mineshaft #20: 1 copy signed and dated on the first page by Jay Lynch!!! Sold Out! 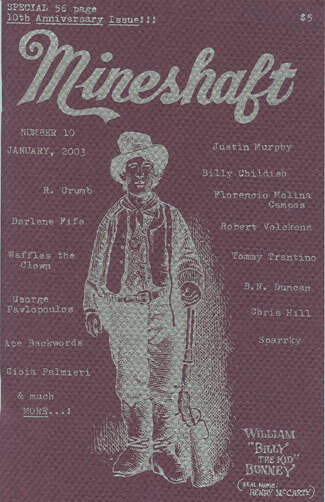 Mineshaft #20: We have one copy not Mint but in very nice condition... Sold Out! Mineshaft #19: We have one "good reading copy" available (with possible various flaws but in overall nice condition)... Sold out! Mineshaft #15: We have one good reading copy available (with stain on the cover & minor flaws and or minor wear on the cover but overall nice & with interior pages in good condition)... Sold out! Mineshaft #15: We have one "good reading copy" from the Archive that is missing its cover (the only one of its kind) Sold out! Mineshaft #14: We have one nice "reading copy" available (looks good but with several bends on the spine very visible on the back cover)... Sold out! 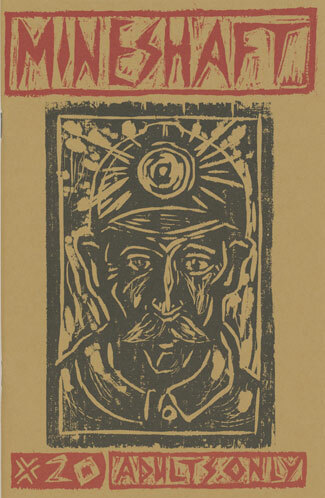 Mineshaft #12: We have one "good reading copy" available that is banged up a bit... Sold out! Mineshaft #11: We have one nice reading copy available (with various scuffs, or other random flaws and wear on the cover but with interior pages in very nice condition & overall in quite nice condition)... Sold out! Mineshaft #11: We have one "good reading copy" available (with many scuffs, or other random flaws and wear on the cover but with interior pages in nice condition)... Sold out! Mineshaft #10: We have two nice copies available (with minor flaws and or minor wear on the cover but overall solid copies & with interior pages in very good condition)... Sold out! Mineshaft #9: We have one "good reading copy" available (with possible various scuffs, possibly a bend, or a flaw or two on the cover but with interior pages in very nice condition)... Sold out! 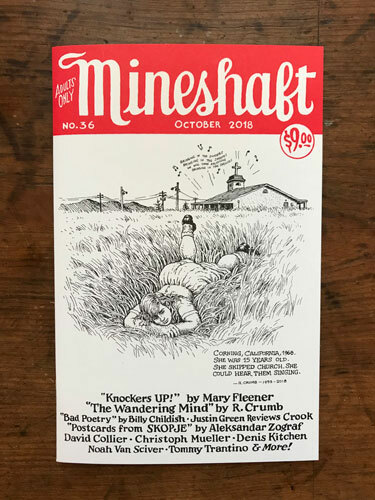 Mineshaft #8: We have one "good reading copy" available (with possible various scuffs, possibly a bend, or a flaw or two on the cover but with interior pages in unread, uncirculated beautiful condition)... Sold out! Mineshaft #7: We have one "very good reading copy" available (with possible various scuffs, or a flaw or two on the cover, but overall in very nice condition condition)... Sold out! Mineshaft #6: We have one "good reading copy" available (with possible various scuffs, and spine bent/banged up a bit, but with interior pages in nice condition)... Sold out! Mineshaft #4: Features the classic poem by Charles Bukowski, "the tragedy of the leaves" to go along with an editorial tribute, "The Day Bukowski Died." 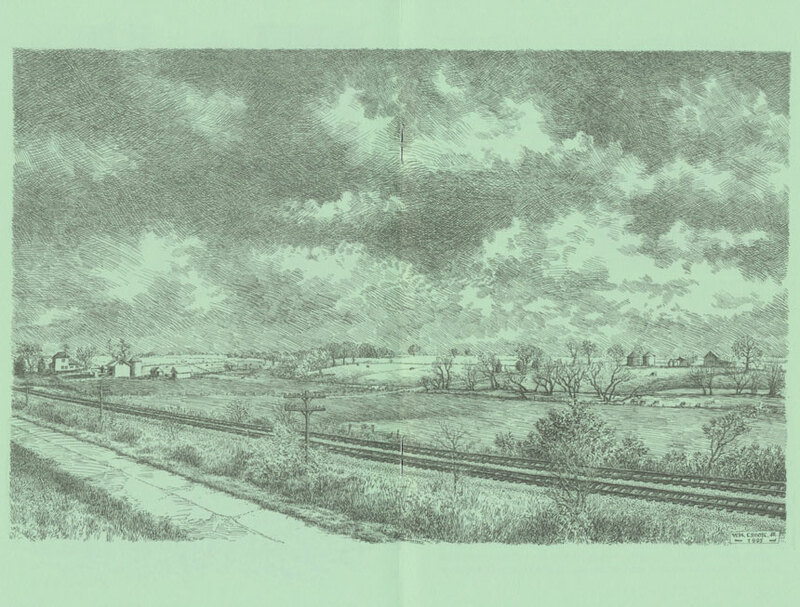 Also in #4 are stories from Tommy Trantino and Karl Orend (Orend wrote an essay about his boyhood growing up in Transylvania), plus poetry by Jeremy Reed, Catherine Aldington, Mark Terrill, Robert Head, Irving Stettner, A.D. Winans & more! First printing. 36 pages. 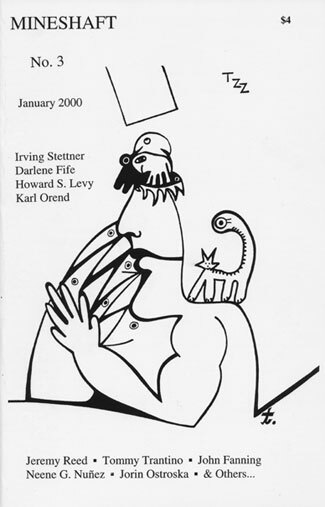 400 copies printed in July, 2000. Sold out! Mineshaft #2: We have one "good reading copy" available (with possible various scuffs, possibly a ding, or a flaw or two but in overall very nice condition)... Sold out! Mineshaft #1: We have one "good reading copy" available (with possible various scuffs, a ding, or a flaw or two on the cover)... Sold out! MINESHAFT FOUR Issue SAMPLER SET!!! MINESHAFT #32, #33, #34, and #35!!!!!! 4 Fabulous Issues! 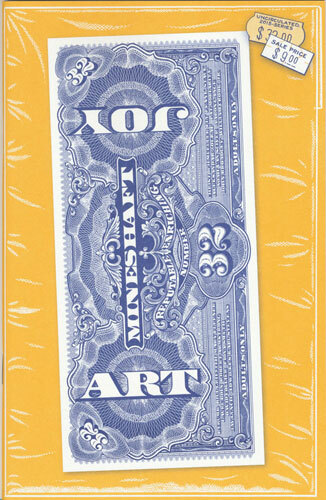 All Copies First & Only Printings, Uncirculated, & in Mint condition from the Mineshaft Archive! 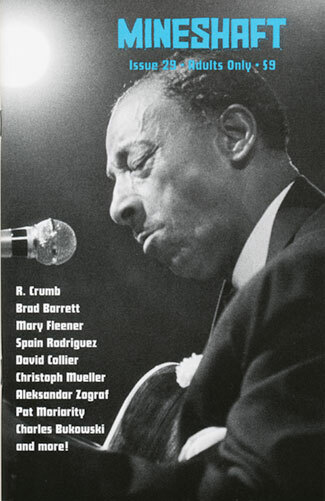 All uncirculated, carefully stored copies in Mint condition from the Mineshaft Archive. This order will be very carefully packaged & mailed in a double walled sturdy box! Postage is included! 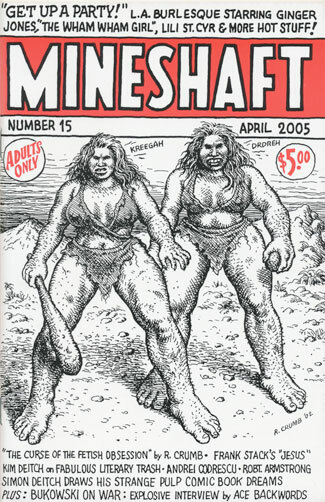 MINESHAFT FOUR Issue R. CRUMB ANNIVERSARY SET!!! MINESHAFT #16, #30, #31, and #36!!!!!! 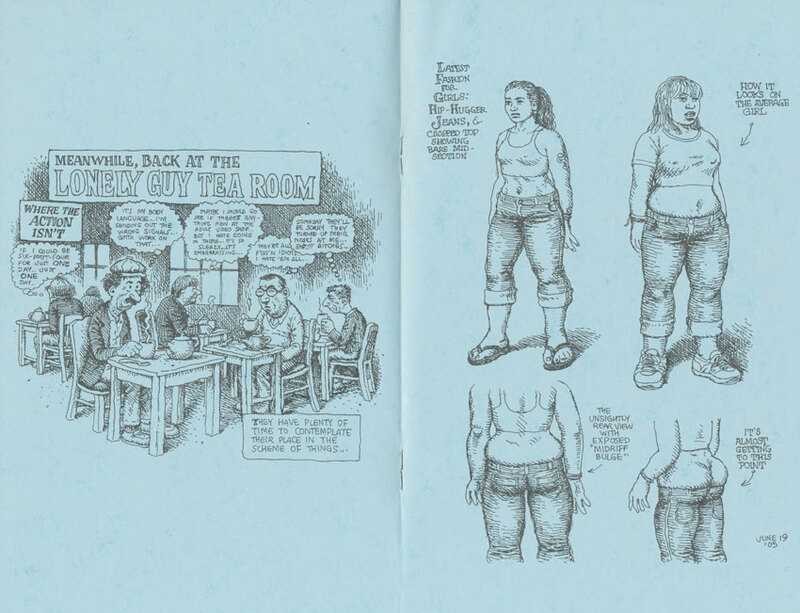 4 Fabulous Issues Featuring Artwork and Writing by Robert Crumb: Two Front Covers, 4 Back Covers, "Excerpts from R. Crumb's Dream Diary", Letters, and Many Pages of Sketchbook Art published for the first time! 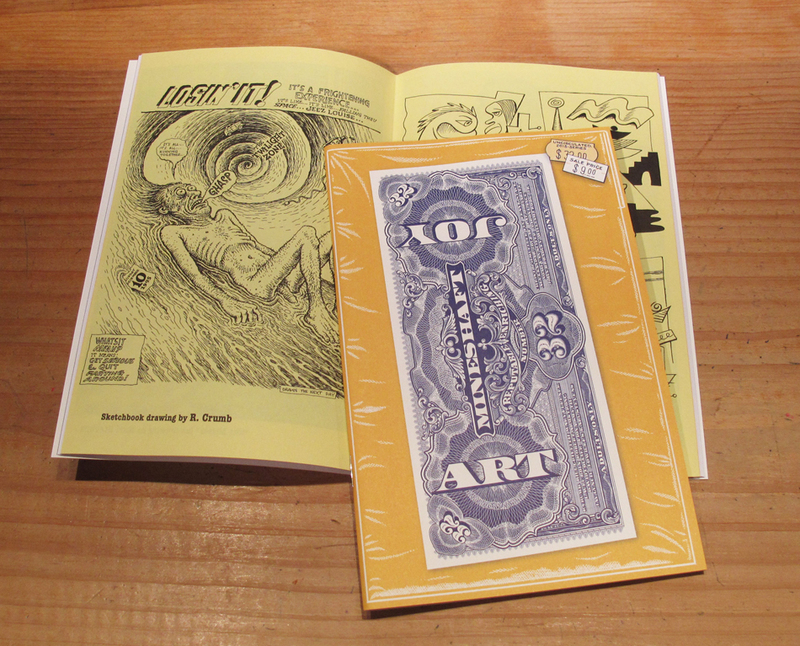 All Copies First & Only Printings, Uncirculated, & in Mint condition from the Mineshaft Archive! This order will be very carefully packaged & mailed in a double walled sturdy box! 36 Fabulous Issues! 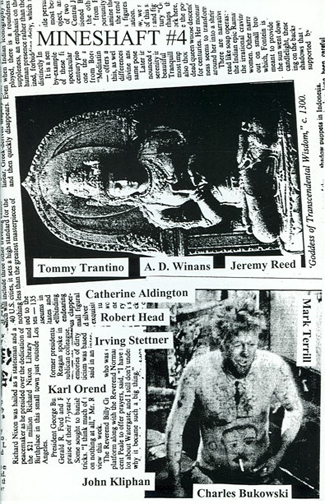 All Copies Uncirculated First & Only Printings from the Mineshaft Archive! Only a few Full Sets Remaining! MINESHAFT 4 Postcard Set!!! By artists Frank Stack, Robert Armstrong, & Jay Lynch! Plus O. J. Heller! MINESHAFT Signed 4 Postcard Set!!! Signed by Artists Frank Stack, Robert Armstrong, & Jay Lynch! Plus O. J. Heller! Mineshaft 4 Postcard Set! 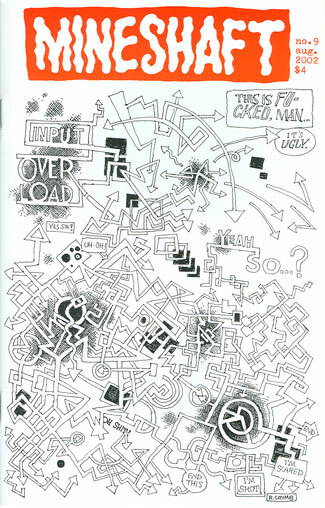 Printed on offset press in 2006, from the Mineshaft Archive, & signed by the artists at that time: Robert Armstrong, Jay Lynch, and Frank Stack! Plus Circus Strong Woman photo by O. J. Heller! First printing. Limited to fewer than 100 signed copies. Sold out! In the U.S.A. we ship sets by Media Mail with delivery confirmation. ALL Set ORDERS are very carefully packaged in a double walled sturdy box or are also actually double boxed depending on the size. In Europe & Around the World, and Canada, a set is sent Air-mail, and postage is included. We ship in a very strong double walled box... Larger orders are also double boxed, and we take great care in packaging the magazine. U.S.A. postage add $3.50 for orders up to $94.00. For U.S.A. orders of $95.00 and above, postage is $7.00. All orders in the U.S.A. are shipped either USPS Media Mail or First Class in a very sturdy mailer. We choose depending on the size of the order and distance shipped. We take great care in packaging the magazine. International airmail postage charges are below. If you would like to send your payment by mail, we take a personal check, money order, well concealed U.S. dollars or Euros. 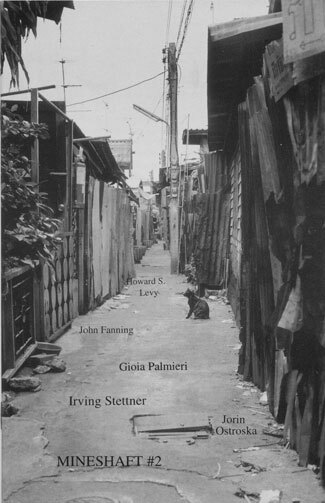 MAKE CHECK OR MONEY ORDER OUT TO: GIOIA PALMIERI and send to Mineshaft, P.O. Box 1226, Durham, N.C. 27702 U.S.A. Email Everett Rand with any questions at erandmineshaft@gmail.com. Thanks for your support! International postage prices are listed below. For orders of 11 or more issues, contact Gioia at gioiap123@gmail.com. Subscriptions and Sets already have postage included in their prices. Canadian postage prices are listed below. For orders of 11 or more issues, contact Gioia at gioiap123@gmail.com. Subscriptions and Sets already have postage included in their prices.